WOW! Lowest priced unit in Bermuda Bay. The sellers are offering a $5,000 credit at closing with an acceptable offer! Unit 1100-G Cambridge Rd is a 2 bedroom 2 1/2 bath condominium with a townhouse style. This unit has a GREAT LOCATION and conveniently located near the clubhouse/pool. New paint and carpeting in 2016. Enter from the bottom in the SPACIOUS garage and storage. The second level has 2 bedrooms with ceiling fans, private baths and decks. The washer/dryer is conveniently located on the same floor as the bedrooms. Upstairs living area has a cathedral ceiling with lots of light. The kitchen is bright and open. Off the kitchen is a 1/2 bath convenient for the upstairs. Two private decks that look over the front street and the back deck has a view of community Clubhouse. If you are looking for a community with lots of amenities look no further. Bermuda Bay has an incredible elbow beach Waterpark & Clubhouse with an outdoor pool, lazy river, workout room & volleyball. 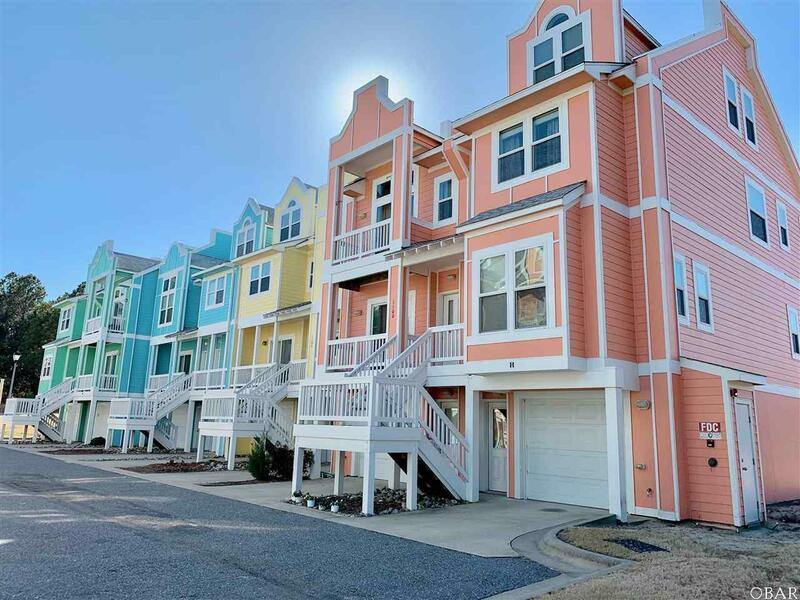 This community is within minutes to many locations including the famous Wright Brothers Memorial, Town municipal center, Library, First Flight Schools, restaurants, shopping, beach access. Grab this one before it is gone! Listing courtesy of Lori London of Outer Banks Beach Rentals & Sa.